Increase Vibration to Make the Law of Attraction Work for You! 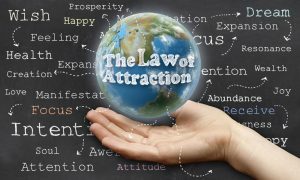 As Explained in the Movie "The Secret"
Combining essential oils and the Law of Attraction is the fast track to helping you manifest what you desire. Essential oils amplify the intent of prayer, thoughts and emotions. Essential oils raise your frequency or vibration. Further, combining essential oils and Emotional Freedom Technique EFT Tapping to clear fears and hurt, helps you to manifest what you want by clearing out negative thoughts and emotions and re-framing to the positive, attracting what you desire. Lower range essential oils have physical benefits. Middle frequencies have emotional benefits. 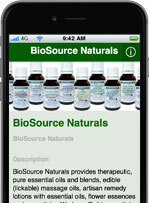 High frequency essential oils have spiritual benefits. You can attract what you want into your life, when you are free from negative emotions and attachments. This is because you attract experiences equal to your frequency (The Law of Vibration and The Law of Deliberate Creation). Also, being free from negative emotional patterns helps you exercise the Art of Allowing, going with the flow of life–with little to no resistance–keeping your joy and energy flowing! Essential oils and the Law of Attraction are a natural pair to help you manifest what you want. Our high vibrational products are powerful when combined with our Free Emotional Freedom Technique – EFT Tapping scripts. Combining our Free EFT-Tapping scripts and our essential oil blends helps clear the mind and body of negative emotions. They were developed by our naturopath, aromatherapist, EFT practitioner, Reiki Master and 20+ year student of the Law of Attraction in her holistic healing practice. Some of our high vibe, Reiki charged essential oil blends, sprays and lotions were developed to clear negative emotions and thoughts. Other products below were developed to redirect and focus emotions and thoughts in a positive direction so you can accelerate the manifestation of what is desired. The products help clear negativity and enhance alignment with God or Source. In this way, they assist in manifesting what you want or need. As your thoughts and emotions are less negative and more positive, your vibration rises. It is important to feel positive emotions and think positive thoughts about the present, past and future. Our Free EFT-Tapping scripts help to reframe “negative” experiences toward understanding the value of contrast, appreciation, gratitude and forgiveness. So, if you want to change the direction in your life or physically manifest, you must first start with changing your vibrational frequency–from the mind, emotions and spirit. Combine our essential oil blends, lotions and sprays with EFT-Tapping to raise your vibration and manifest what you desire. All products have a 30 day return, satisfaction guarantee.